IN THE MIX PRODUCTIONS - Printing - High quality printing materials. Are you ready to go big with your music? Stop by In The Mix's CD - DVD category and get started on your CD Artwork, duplication, packaging, and more! Order today before time runs out! Save more with ITMP's printing packages. Packages are unique and each product design is fully customizable! grabbing Promotional Items can have your company noticed. 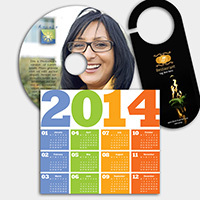 Create promotional materials and souvenirs that leave an impression.